If you are shopping for eyeglasses, our office has something for every style and budget. From basic, value priced eyewear to top luxury eyeglasses frames and everything in between, we believe you will find the eyewear that fits your personal style and hobbies perfectly. We invite you to stop by our convenient office to browse the very latest in distinctive eyewear; our knowledgeable staff is always ready to help you with your selection. 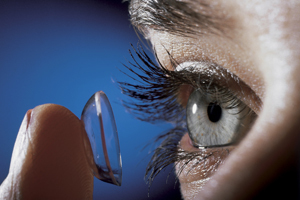 We also offer difficult-to-fit glasses, progressive lenses, bifocals and trifocals, high-index and aspheric glasses – compact lenses for strong prescriptions, anti-reflective coating, polycarbonate, impact resistant glasses, transition lenses, computer glasses, UV coating for eye protection, occupational lenses, sunglasses, and sport vision eyewear. Most Glasses Completed In One Hour!